This was my second attempt at NaNoWriMo, and my second loss. Technically it was a loss since I didn’t complete the 50,000 words in thirty days challenge. I learned a lot, however, and definitely do not feel like a loser. I don’t feel like a winner, but I am learning skills and techniques that will get me closer to winning this challenge, perhaps next year? Yes, you read that right. I intend to try again next year. Why? Mainly because I don’t want to fail by default. Writing has been a dream of mine since childhood. If it was easy, everyone would be doing it. I intend to keep learning and improving until I succeed. So if I intend to succeed at writing a novel, and possibly drafting a novel inside a month, I need to evaluate what worked for me and what didn’t so that I can do better next time. My creative corner is almost the way I want it. Writing sprints. Who knew?!? I was online with others trying to see how many words we could crank out in a set amount of time. I was so focused on the words and the clock that my internal editor didn’t stand a chance. Much of what I wrote during those sprints turned out to be very good, more vulnerable than I usually allow myself to write, and with minor revision will stay in the novel. Just doing it. That’s right, I took a page from Nike. I didn’t wait for the planets to align or the muses to congregate at my keyboard, I just sat down and started writing. Great support team. I was so surprised to find how many fellow writers as well as friends and family were cheering me on. On the days I didn’t feel like writing, I often did because I didn’t want to let them down. Husband and sons were great about giving me quiet space to think and write. It moved me closer to my larger goal. I knew my larger goal is a novel of approximately 90,000 words, so I wasn’t planning for just one month to do it all. I ended up writing 12.396 new words that I will probably keep. That is a fourth of the 50k goal, but I didn’t write crap. Revision is still required, but it won’t be too much work. Also I realized I was able to achieve my 2,500+ words per day goal repeatedly. This is something I intend to work on throughout the year. NaNoWriMo support. One of the best parts of joining this challenge was the supportive e-mails, tips, tricks, and encouraging notes that were sent out daily. It really did help to know that successful authors also felt the frustration and challenges that I faced. It also helped me to realize that professional full-time writers keep up this pace as their day-job. I find that exciting and terrifying. November. I just need to say it–November is about the worst month of the year for me to do any kind of challenge. I have a chronic illness, and I consistently have flare-ups in November. It’s also allergy season in our corner of Texas, and it seems everyone has the crud. I was sick at least half of the month. Then let’s add that my husband had his grad school finals and term projects due. I was still unpacking boxes from the move. Our wedding anniversary is on the 11th (next year is our 25th–I won’t be writing! )… Argh! Why can’t we do this challenge in February? Technology. I am a geek at heart, and love all things techie, but this year my technology failed me and our finances were too limited to solve my technical difficulties. Since moving, I am no longer plugged into the wall, but using a wi-fi adapter that my son and I shared. We also lost my mouse and our printer broke in the move. So, when son had homework, he had computer priority. My husband has a laptop for school and work, and due to his schedule I rarely got to use it. Then our shared wi-fi adapter died. Today is the first day I am up and running, albeit slower, because my husband made bigger than expected tips last week and he and son were able to find great black Thursday sales to fix my computer. Hopefully by next November, Husband will have graduated and landed that perfect job, and I will have a new laptop. Not enough planning. I think I’m about a third “pantser,” a third “plotter,” and a third “scene writer.” I thought I had my general outline complete enough that I could just dive in, but the more I thought and wrote, the more I realized I needed to plan out. I discovered Scrivener about a week or so in, and would love to have played with that. 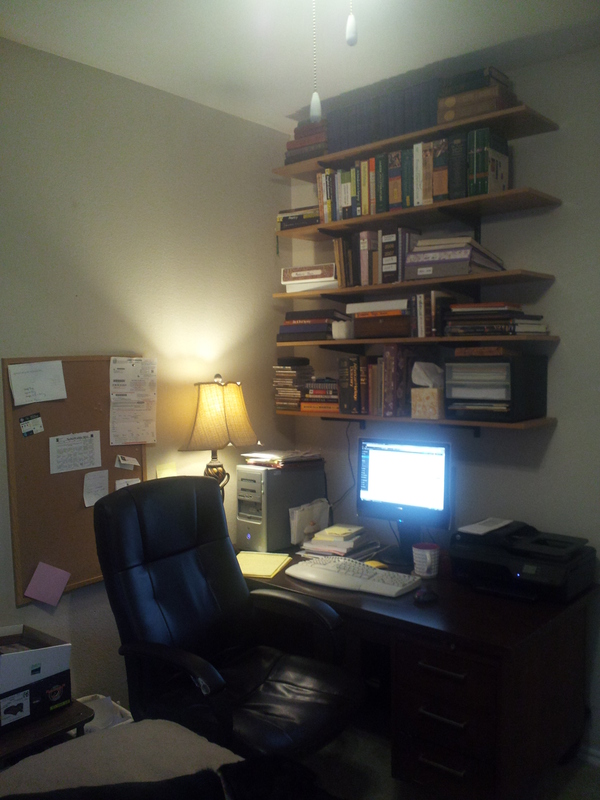 My goal is to have that software set up and ready to go for my next novel. I have no idea what I can do about my health situation for next year, but I intend to plan those bad days into my writing schedule. I will take more advantage of what did work for me, and hope that helps mitigate what didn’t work for me. NaNoWriMo 2014 look out!